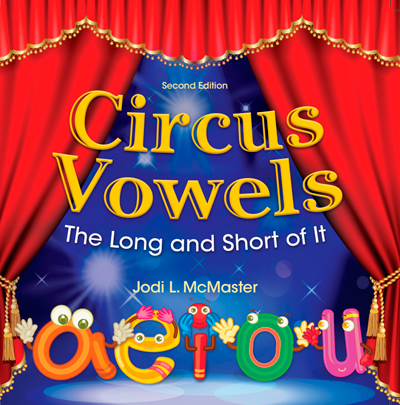 Circus Vowels is an educational picture book that will help any beginning, struggling or ESL reader learn how to recognize which vowel makes which sound within a word. In this instructional book, the author has created a simple trick to help the reader understand the long vowels and the correct sounds they make when trying to sound out a word. Throughout Circus Vowels, the illustrations will help enhance the child's vowel comprehension. This book also includes workbook pages that will reinforce the educators' instruction of vowel sounds.